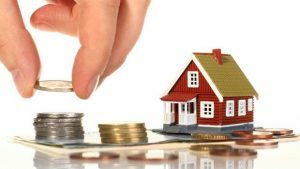 There was a time when the choice of whether to live in a house or an apartment was purely financial – you rented a flat until you could afford to buy a house. But now it’s a lifestyle choice and owning or renting an apartment is no longer the worst idea. Units vs houses: Which is a better investment? Are you trying to decide between making an investment in a unit or a house? What are types of real estate investments opportunities? Well take a step back, because there are a few key factors that you should consider first. The first tenet of investment is to get the best possible returns, so let’s look at where the money comes and goes when you’re investing in residential real estate. Units are typically more affordable than houses, so it’s easier for a first-time investor to raise the necessary capital. Houses often have a higher entry pricepoint due to land value. According to the latest Domain Group House Prices Report, the national median house price is $636,315 while units are $476,023. Read the Best real estate markets in the USA if you want to know more about real estate markets. According to the Real Estate Institute, there’s not much of a difference in price growth between each dwelling type. Over the past ten years, median house prices have increased by 81 percent, while median apartment prices increased by 72 percent. If you own a house, all maintenance issues are your responsibility, whereas the maintenance and care of an apartment building and surrounds is the responsibility of the body corporate. What do you want from your investment? What sort of investor are you? Are you looking for regular long-term income, or do you plan to renovate and sell the property as soon as you can? 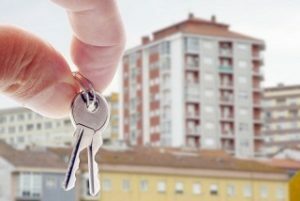 Should you Invest in a rental real estate? 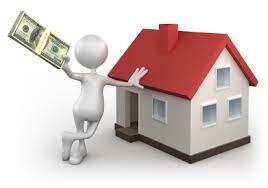 A house generally offers higher capital growth, due to the land component of the property. There’s also more potential for negative gearing. Units, on the other hand, tend to offer higher rental yields so they are more favourable from a cashflow perspective. Their lower pricepoint may allow you to build a diversified property portfolio more quickly. Council rates are usually higher on a house and you’ll be required to pay land taxes on an ongoing basis. With a unit or apartment, you will have to account for strata fees quarterly for the life of the investment, including any special levies that may be raised. Living in an apartment complex usually brings access to a large array of amenities that you might not get after buying a home. This potentially includes things like a common room, swimming pool, communal barbeques, a gym, covered parking, and a security system. Some apartment buildings have security guards and a lot of them feature secure front doors which can only be opened with a code or card. But, when you have a house you should know how to protect your home. And, don’t forget! Think of how easy it is to clean a small apartment compared to a big house. Also, Apartment living usually costs you less in terms of things such as heating, cooling, and other utilities such as water and electricity. Disadvantages of apartment vs house include: Smaller living space, less privacy but more noise and limited decorations. The first and foremost disadvantage of apartments is that they’re generally smaller than the average house. While this means you’ve got less space to clean, that’s only a small consolation for less living space. It you’re the type that likes peace and quiet, you may have trouble finding those things in an apartment. Due to the crowded nature of apartment buildings, the privacy afforded by apartment living is less than that of living in a house. And, most apartments are owned or overseen by a landlord or body corporate, so your apartment decoration is potentially limited. In an apartment, you wonder if the people above, below and to either side of you can hear what you are saying and doing. In a house you could be screaming and no one would want to intrude. Advantages of living in a house are: Plenty of space, more freedom, your own garage and parking and less noise. Living in a house offers you much more space than you’d get with an apartment. Sometimes renting a house comes with a yard, which is great if you have kids and dogs. You’ll have more freedom and a lot more privacy when living in a house. Less noise to deal with, which is great if you prefer your home to be a quiet place to study or watch TV. In a house there’s nobody to tell you to turn your music down. Also, you can paint your front door exactly the color you want. In a house you can have a pet and no one can stop you. You can have a swimming pool that just you and your family and friends get to use. In a house you can have a garage sale to get rid of all your stuff. Disadvantages of living in a house: bigger rents, more responsibility, time and money, and bigger mess in bigger space. An apartment might be smaller but all of a sudden you’ll have far less responsibility and more time and money. An independent property needs extra effort for setting up services like security, power back-up, water systems and fire safety mechanism . This would also include an extra cost. You should know the biggest unit vs house difference . When it comes to houses, your work does not end here. Once you start living in your own house, the property needs constant efforts for maintenance, cleanliness and construction & repair. In units you don’t have so much obligations and problems. Advantage of investing in an apartment is that insurance, maintenance and upkeep are provided by the body corporate. The specific size of the building is important, but it changes depending on the location. 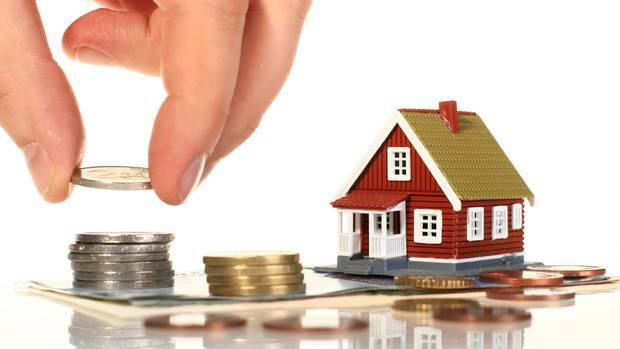 When it comes to house investment, you have to pay 100% of the insurance and 100% of the maintenance and upkeep fees. Every single thing that happens to the house is your responsibility. In the end, there are reasons for and against almost any dwelling type. The right investment choice for you will depend on your financial position, risk profile and investment strategy.